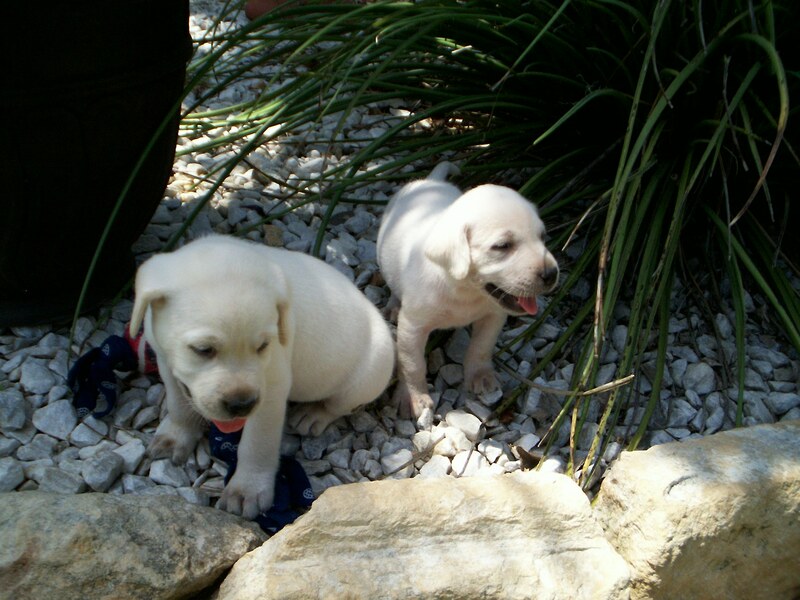 Two handsome male white lab puppies available. These two beautiful white lab males will be ready to go to your home next weekend. They have had their dewclawes removed, been wormed, vet checked & will be getting their 6 week shots in a few days. If you are interested in either one of these boys please let me know.